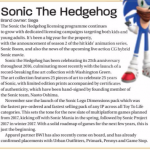 The January 2017 issue of Toy World Magazine contains two interesting bits of Sonic related news, first we have an article which not only comments on Sonic Mania and Project 2016, but also that Sega apparently have a roadmap for Sonic games for the next few years, suggesting that plans for 2018 and even 2019 are already on the drawing board (though honestly that’s not really too surprising). 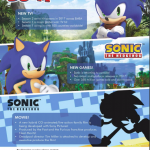 We also get a rather large advert published by Sega in the magazine which confirms that Sonic Boom Season 2 will roll out across Europe this year as well as confirming that both Sonic Mania and Project 2017 will also release in 2017. There’s also a large area dedicated to the movie which hasn’t happened in these kinds of adverts yet (other than one line of text), could this suggest that we might be getting some movie news in the near future? Keep checking TSS for more information as we get it. So a solid road-map of games for the next few years eh? Let the comments flow with all the sequels you want to see! Hopefully the UK does a better job promoting Season 2 than CN has been doing so far. Can’t wait to see what news we will be getting this year though. Cool! This is what I want to hear. I hope these plans can come to fruition. I’m still really curious about the Sonic movie. There is absolutely nothing to support that statement. Dude,that’s from Wikipedia,which is unreliable. Your source is a wiki? Well that’s substantial evidence. They haven’t put Sonic Boom on Netflix. They did in Canada, where do you live? By roadmap they may mean a new gameplay style which will be featured in several games, like the Adventure gameplay or the Boost gameplay. Get your Sonic pajama’s on folks…. we’re gonna dream about the possibilities of these next few years ALL NIGHT LONG BABY YEAH!!! That’s so corny…. I LOVE IT! Oh god, yes!!! Just what I wanted to hear. 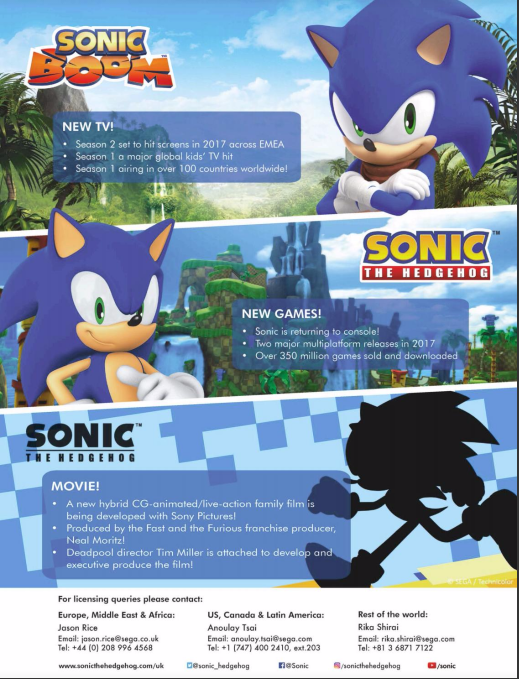 Sonic’s back baby!